Comment: I need to replace several squares of my front (street-facing) sidewalk that have crumbled. Comment: I would like a price on a timber or r.r. tie retaining wall 5-6 ft high by around 80 ft long in the back of my yard. there is a drop from level ground at the top of my yard going down about 5 ft that I would like to level out and it would require a wall. Comment: I have an area of my yard that has been a dog run and it needs to be leveled and have a patio installed in one area, then a step down to a graveled area that will have planter boxes. Comment: Need to have a concrete patio poured. small, rectangular space, 10' x 13'. BR & D Landscape, Inc.
Stone Creek Hardscapes & Design, Inc.
Denver Concrete Contractors are rated 4.73 out of 5 based on 3,955 reviews of 283 pros. 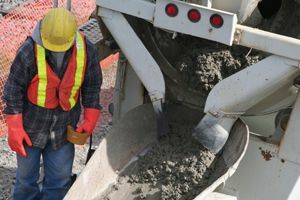 Not Looking for Concrete Contractors in Denver, CO?